In 1994 Gerard Hanson and Dan Kurzius started ?Hardsync', a Magazine dedicated to electronic music reviews and artist interviews. It has been defunct since 1996 as a result of a computer crash. 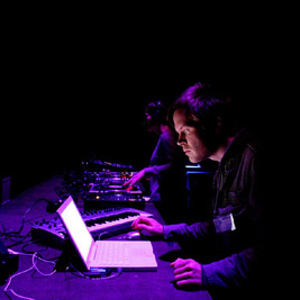 Hard Sync was an outlet for several Texas-based electronic music enthusiasts to reach out to others around the world that shared similar musical interests. He released his first 12" in 1995. Ever since his debut 12" on Matrix in 1995. From 1995-1997, he released 5 ep's, and then only 2 more in the next 6 years until 2005. The reason he produced so infrequently was because when his first releases came out, the tracks were licensed to some big releasers and he did not get paid for them. After that some other labels approached him but just wanted more of the same and didn't really seem to understand his sound. They just wanted more of the same sounds. After that he stopped releasing music and produced only for his personal usage. After a couple of years the label Down Low convinced him to pick up his producing again. He is very careful about sharing his music with the rest of the world. In the last decade he only used the aliases Convextion and E.R.P. (Event Related Potential). E.R.P is an electro-edged moniker. Gerard has remained willingly anonymous since his debut in 1995, but he came out of obscurity for a debut European Live performance in London in April 2006. Why he remains unknown is a mystery. In the future we will hear much more from this producer. *The meaning of the word Convection is: the internal movement of currents within fluids or gases.